There haven't been many surprises at training camp for the Dallas Cowboys, but one thing that kind of caught me off guard was Safety Kavon Frazier being placed on the non-football list. Frazier is out an undetermined amount of time while he is being tested for a blood disorder that could cause problems if he sustained an injury. This unfortunately makes the safety position more of a concern depth wise than it already was. We all know how thin the safety position was already for the Cowboys heading into training camp. It's been discussed at length already this offseason, but the coaching staff felt pretty comfortable with what they had on the roster. That may not be the case now if there are concerns with Frazier's availability moving forward. Up to this point, the Cowboys haven't really shown any interest in any Free Agent Veteran Safety available on the open market. They may need to change their tune now before the market completely dries up. There aren't very many safeties still available, but there is one player that makes sense… former New Orleans Saints first-round draft pick, Kenny Vaccaro. The Dallas Cowboys have shown an interest in acquiring Vaccaro in the past, but that interest seems to have dwindled here recently. I for one think that may need to change, and rather quickly. Now, I don't know the extent of Kavon Frazier's possible blood disorder or how that impacts him moving forward with the Cowboys. But, it is a concern. Bringing in Kenny Vaccaro would ease those concerns and quite possibly upgrade not only the depth of the Safety position, but the talent level as well. I've personally been a fan of Vaccaro's dating back to his collegiate days at the University of Texas. I think he never really settled into the Saints defense because of all he was asked to do during his time in New Orleans. He was never really allowed to settle into one position. But, with the Cowboys, he should be able to do just that. I know you're probably thinking that adding Kenny Vaccaro would hurt Xavier Woods development, but I think it would actually help in that department. Vaccaro has more experience than any other player in the Cowboys secondary and would be able to pass on his knowledge to the younger defensive backs. Sounds like a win-win situation to me. I'm not trying to get rid of Kavon Frazier or anything, but adding an insurance policy just in case his blood disorder turns out to be more serious than thought makes too much sense not to happen. Of course, the Dallas Cowboys probably have a better understanding of what's going on than I do, meaning this may come to nothing at all. I don't know about you or the Dallas Cowboys, but I would still add Kenny Vaccaro as insurance regardless of what's going on with Frazier. He shouldn't break the bank and it would help solidify the position for the upcoming season. 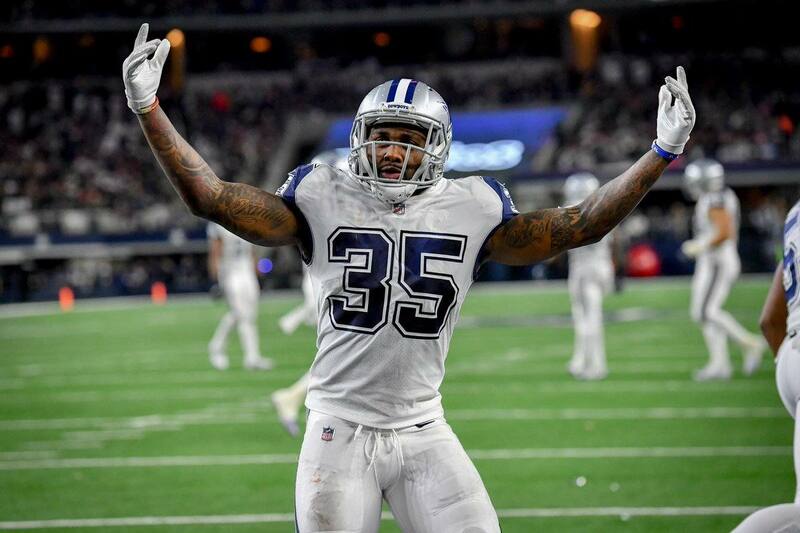 Do you think the Dallas Cowboys add a FA Veteran Safety?